DO NOT go to this parlor. First off, I have a beautiful half-sleeve, my feet tattooed, and a tattoo on my wrist, and I have never had a tattoo lose ink during healing before. My husband and I went in to get wedding band tattoos, which is an incredibly simple tattoo, all things considered. The guy charged $120 for both, which is more than we would have paid to have had a shop at home to do it, but they seemed to have good, quality work. 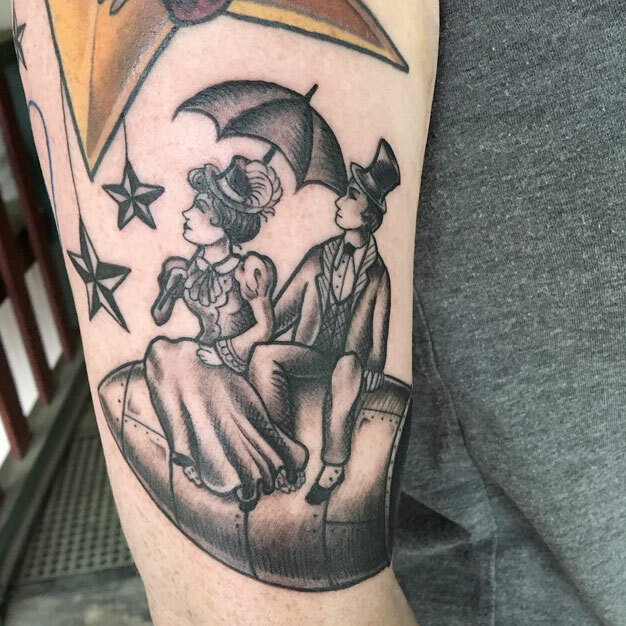 He didn't wrap the tattoo as far around as they should have gone, the lines were uneven in every way you can imagine, and when it started peeling, the ink came off in one big strip instead of in flakes, despite the fact that I took care of this tattoo the same as all of my others. My husband's did the same thing. The color underneath is incredibly patchy, and the lines are even more uneven than they were. Now we have to pay to get them redone. To top it all off, the guy was a douche the entire time. 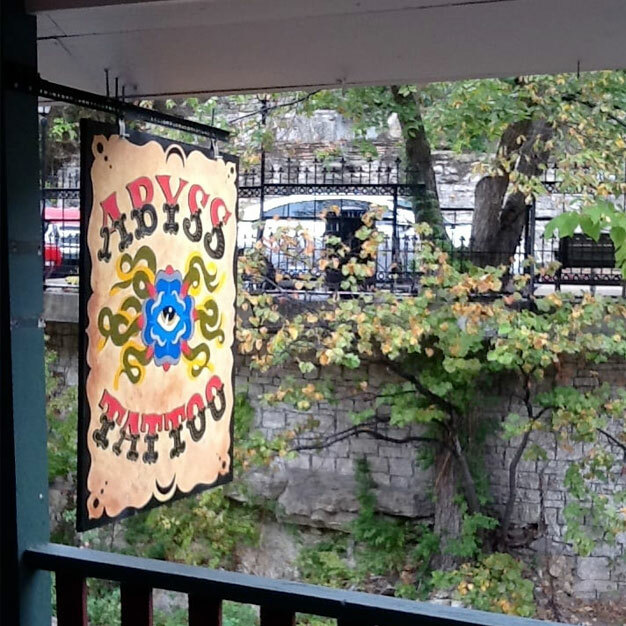 Abyss Tattoo is located at 9 White St in Eureka Springs, AR. 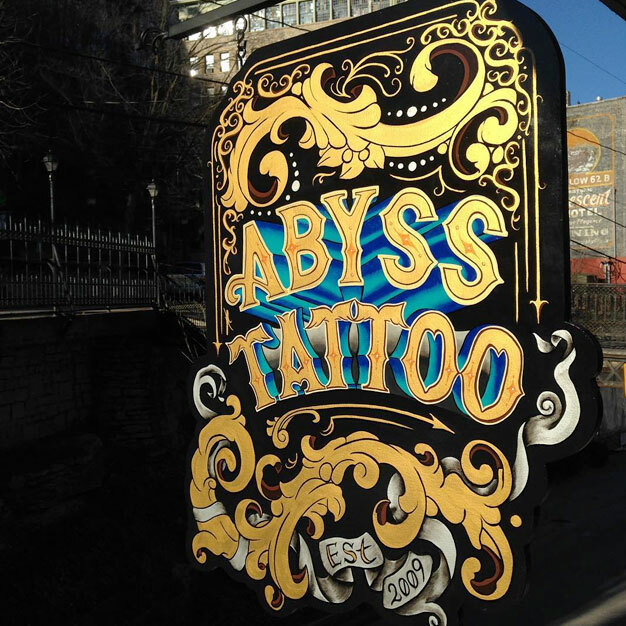 Abyss Tattoo is listed as a Single Location. 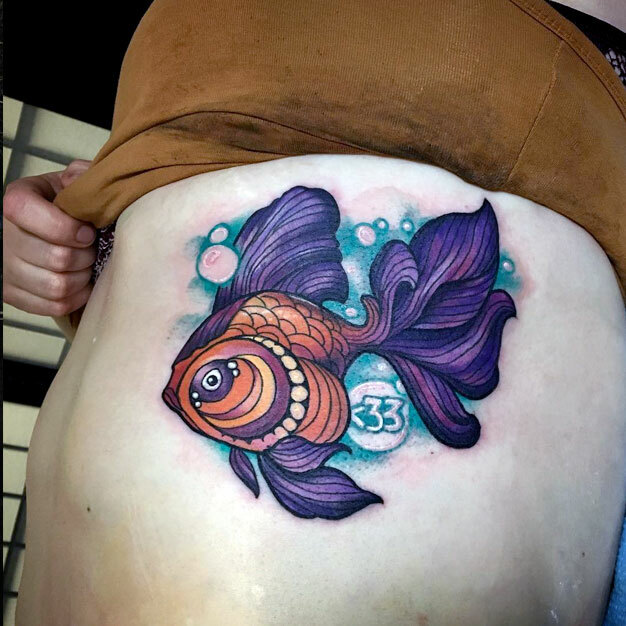 Abyss Tattoo is listed as having a total annual revenue of $43,221. 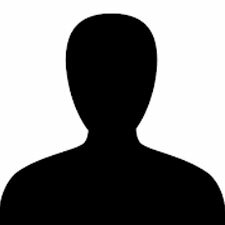 There are currently 3 employees at Abyss Tattoo . Our records show JD Davis, Stella Ipswitch and Joseph Linker currently employed at Abyss Tattoo . Abyss Tattoo was established in 2009.